The 24 ORE Group grows on the radio market: with Kiss Kiss and Radio 24, a total portfolio of over 4.5 million highly profiled listeners. 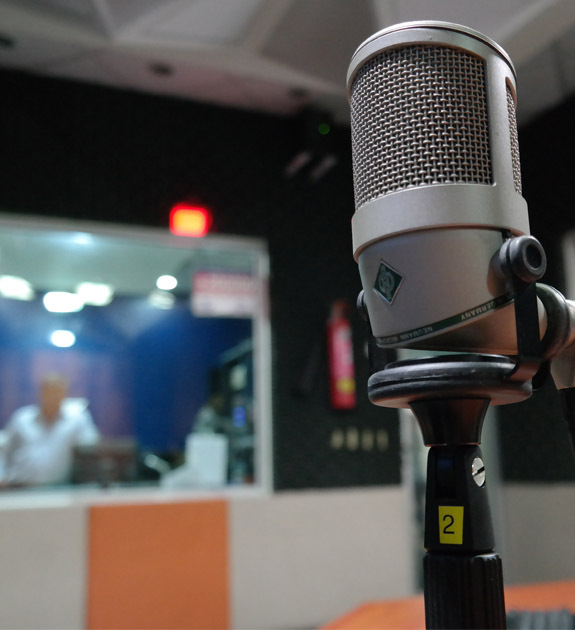 System 24, the 24 ORE Group advertising agency, and Radio Kiss Kiss, have sealed a deal for the exclusive concession of advertising sales of the time-honoured national radio broadcaster, on air for over 40 years now. System 24 enhances its radio offering by opening up to third-party publisher concessions adding, to Radio 24, the national broadcaster Radio Kiss Kiss, and offering its clients an audience of over 4.5 million listeners (TER, May-October 2017 six-month figures). Radio Kiss Kiss, the only national network from southern Italy, was established in 1976 from the inspiration of Ciro Niespolo, who handed down the same spirit to his 5 children Lucia, Ida, Antonio, Marcello and Davide, Italian radio entrepreneurs who have helped develop the radio to become the 9th national radio station, with 2,424,000 listeners on average day (TER). Sparkling music, dynamic hosts, a focus on social networks, mindful of the needs of its listeners, and with a keen eye on sport: 5 years ago, it became the official radio of CALCIO NAPOLI. In recent years, it has come to be known as a radio steeped in innovation for the “always-connected”: over 1,000,000 fans on its Facebook page and over 600,000 Twitter followers are proof of the intense “engagement” with its audience, confirmed by the 25,000,000 page views on Facebook of the main programmes in 2017 alone. Over 350,000 mobile apps distributed by the group in recent years, a responsive website (the first radio to adopt this technology), and a h24 web-tv complements the important digital assets of the group, making it the radio for the web & social generation. Radio Kiss Kiss boasts a young/adult target, with an audience aged from 18 to 54, divided equally between men and women with medium to high income. It therefore represents an important integration for the 24 ORE Group agency which, alongside Radio 24, brings in a broadcaster that allows it to expand the audience on young people, retaining the main features typical of its customer base – the most active and cultured component of the population, big spenders with medium to high culture, capable of grasping the value of new ideas, fashions, trends and lifestyles before anyone else – and increase coverage at national level with a stronger presence in the Centre-South. With the acquisition of Radio Kiss Kiss’s advertising sales, System 24, which is already present on national and international print media and on the web, opens up to third-party publisher concessions also on the radio front and it does so with a market player: an established, young national broadcaster absolutely complementary to Radio 24, on behalf of which, from January 2018, it will manage advertising sales on an exclusive basis, from radio and digital display to non-display with sponsorships, events and special projects.